Boutique timber workers Williams and Campion have completed a table for Auhaus Architecture. Made from recycled blackbutt timber, this table makes use of the distinctive end grain pattern by running both the table top and leg segments with the cross grain exposed. 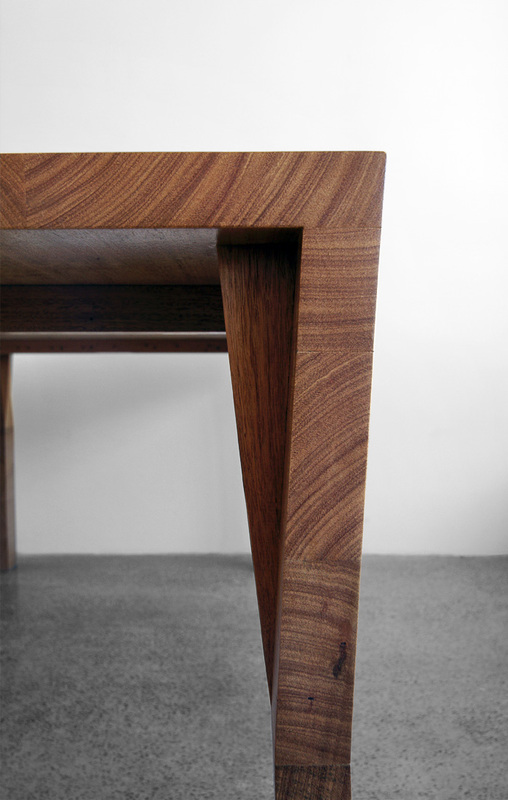 A subtle shift in the profile of the leg reinterprets the traditional meeting room table form.